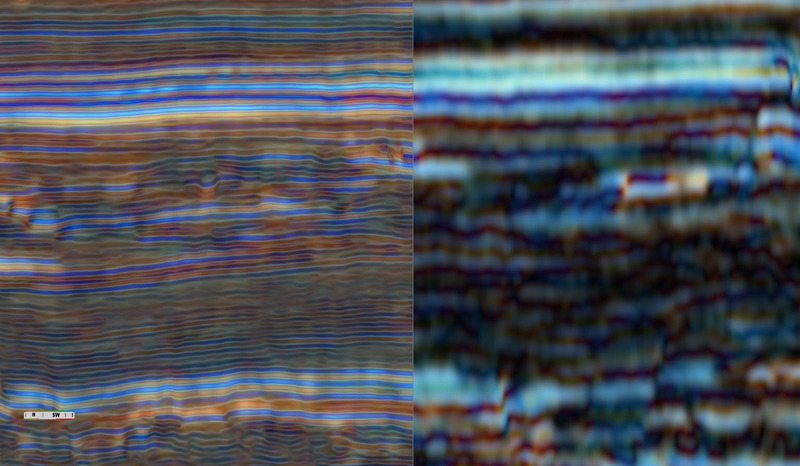 In the previous Geobodies instalment, a geobody was created using a Standard Frequency Decomposition (FD) blend as this technique is useful in identifying subtle changes within a geological feature. 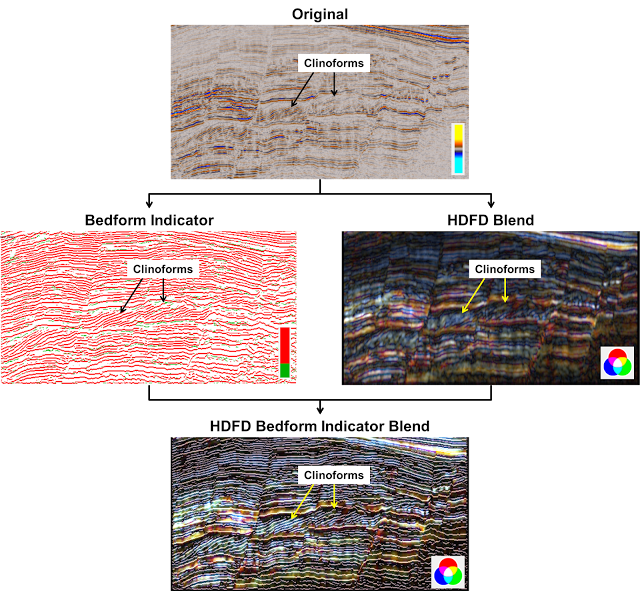 In this post, an Adaptive Geobody will be created using a High Definition Frequency Decomposition (HDFD) blend. 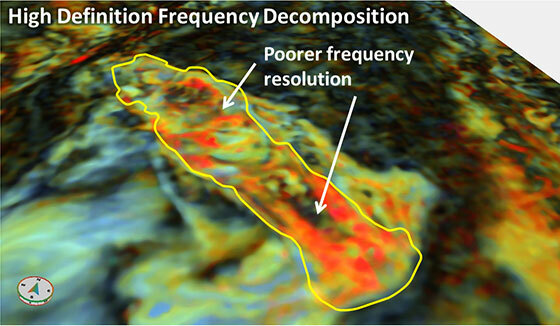 The matching pursuit techniques used in GeoTeric’s HDFD blending generates frequency decomposition results as close to seismic resolution as possible. This improvement in vertical/temporal resolution is traded off in terms of accuracy of frequency resolution. 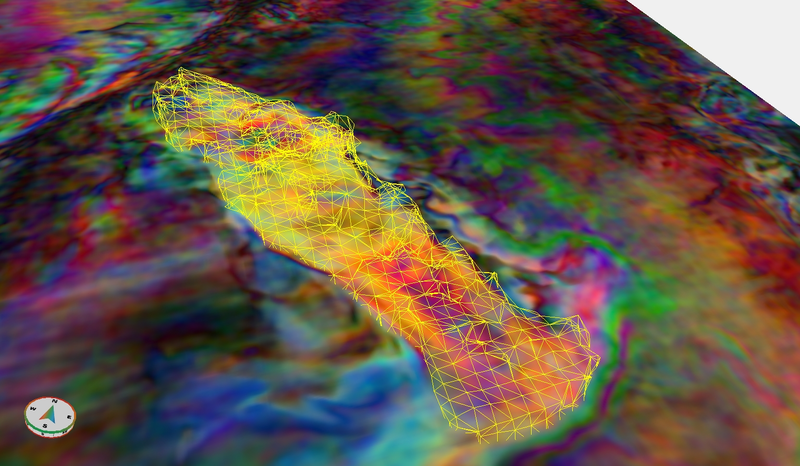 The Adaptive Geobodies tool tool is based on generating delineating geological deposits from data values using model based delineation. It is a powerful and flexible tool which can be used in multiple ways. The basic techniques will be shown below and in this instalment the benefits of using a Standard Frequency Decomposition blends for creating geobodies. 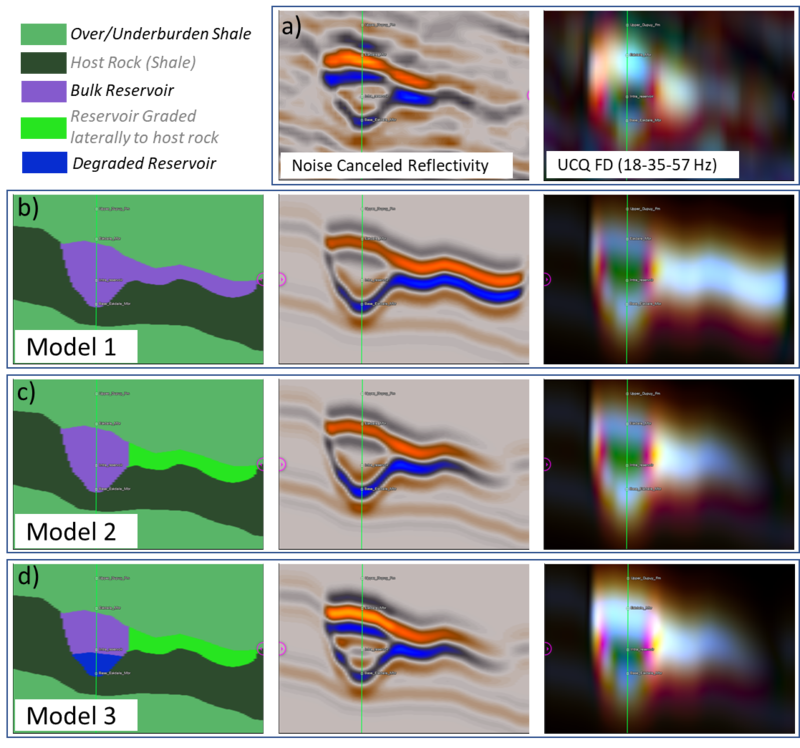 The benefits of the different Blending techniques were outlines in the previous blog posts and here we will look at using the Standard blending method to extract geological features. The Constant Bandwidth and Uniform/Exponential Constant Q are useful reconnaissance blends as they have very good frequency resolution but poorer temporal resolution. 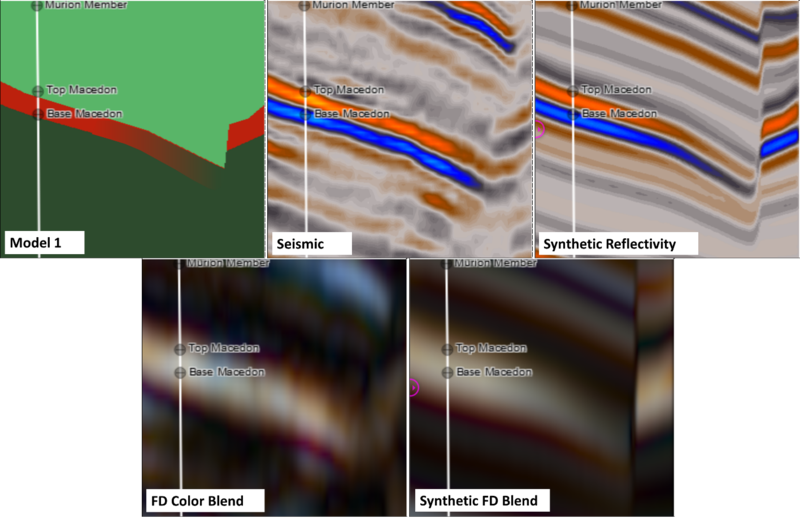 As a result it is possible to identify subtle frequency differences within these blends and subsequently extract them with the Adaptive Geobodies workflow. The previous two blog posts looked at 'standard' frequency decomposition techniques which applied convolution of the trace with bandpass filters in a traditional manner. This post focuses on the High Definition Frequency Decomposition or HDFD. This weeks blog post continues to look at frequency decomposition techniques available in GeoTeric. We previously looked at the Constant Bandwidth technique, we now look at another Standard Frequency Decomposition technique, the Constant Q. The Standard Frequency Decomposition module uses bandpass filters to carry out decomposition with properties similar to either a Fast Fourier Transform (FFT) or to a Constant Wavelet Transform (CWT). Due to the nature of the waveform transformation between the frequency and time domains there is resulting uncertainty, as defined by uncertainty principle. Therefore, the different frequency decomposition methods show differences between the frequency resolution and temporal resolution with the two being traded off against each other. 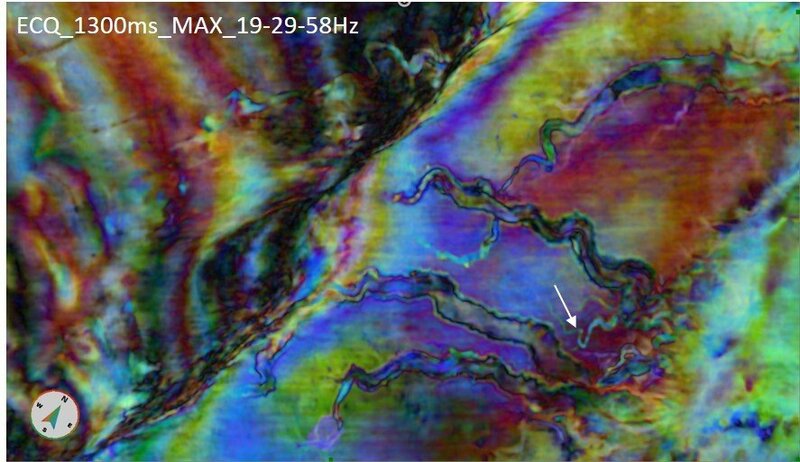 RGB Frequency Decomposition Blends are extremely useful in identifying both structural and stratigraphic events. These are best observed in the Z domain as the effects of vertical smearing are minimized. 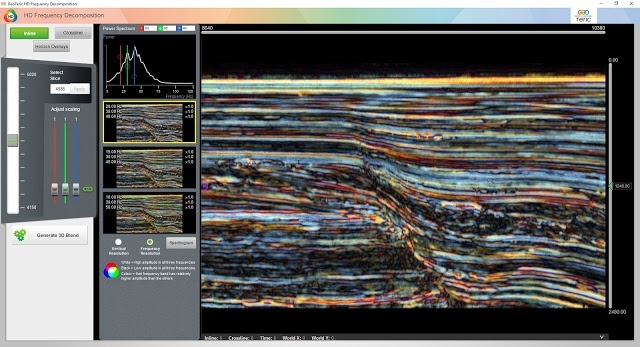 When observed along the inline or crossline it can be harder to trace the stratigraphic events. 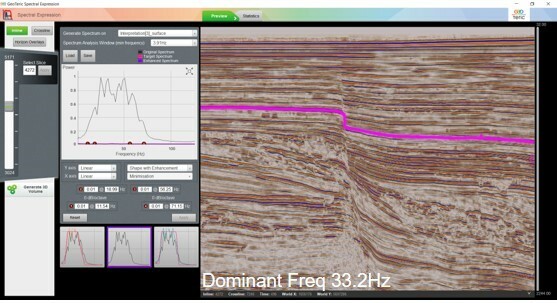 Bedform Indicator is designed to skeletonize the seismic response to highlight the relationship between seismic strata within the data set. 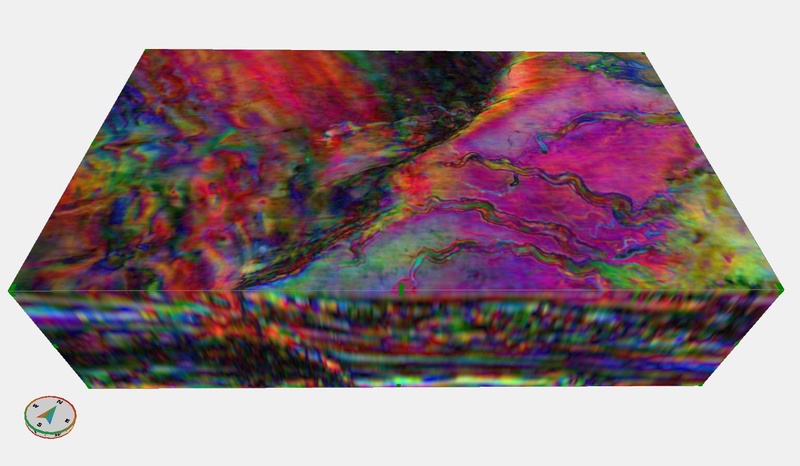 It highlights bedform features such as onlaps and clinoforms. So, by combining the Bedform Indicator volume with the RGB volume it will be possible to map and track sratigraphic features in 3D.